When I saw the second opening of this serie, I catched lot of pictures, like this! So I vectored it, and tried to re create the original BG, so hot! That's a warm wall for all people that is in winter...brrr! it's snow and so cold! This is completely an epic win ! I love so much the colors used ! Beautiful wall Cilou chan ! 2 Thumbs up ! I haven't seen the second opening yet but I have to watch it. He is really hot! Good looking wallpaper thanks for share! I find the hair weird, because it kidna lacked in darker shades which kinda looked plain. I also find it too red that kinda hurts the eye when looked too long. WOW! great shot! I like this a lot! Thanks for sharing! So charismatic, so fierce. so cool ! 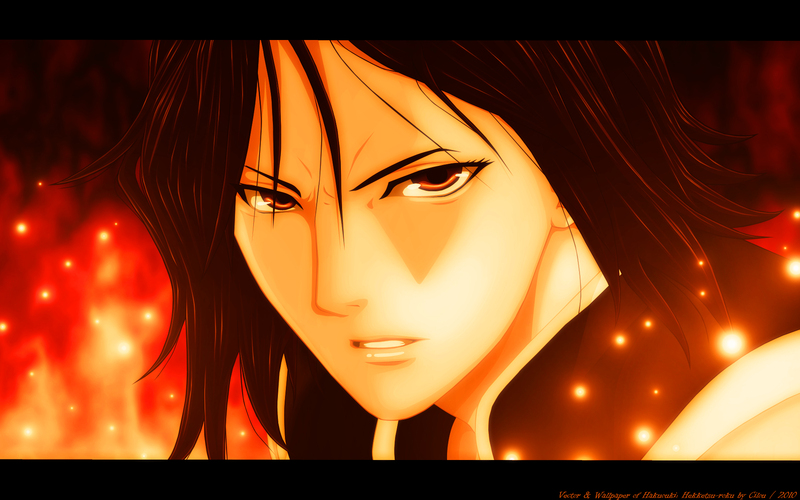 dunno why but i mistaken harada for female XDD...lol....anyway awesome fire effects ? This is hot. Its awesome. Well done, thank you very much.